MainAll NewsIn Other News...Long-lost Hitler painting discovered? The unique painting said to be by Nazi leader shows the old Vienna fortifications and is signed “A. Hitler”. A unique painting seemingly done by former Nazi leader Adolf Hitler was uncovered last week in Holland and was authenticated by the Dutch Institute for War Documentation (NIOD). The painting appeared to be a rendition of the old Vienna fortifications and is signed "A. Hitler". The painting was donated by a woman who asked to remain anonymous, who related that the painting was acquired by her father who was shocked when he realized that it was painted by the mass murderer. "After he found out what kind of a sensitive object he had in his hands, he hid it out of fright," she told the Independent. A number of experts confirmed that the painting was real after examination. "We could not find anything that showed that this is a forgery" University of Amsterdam conservator Bas van Velzen said. The Nazi Fuhrer had worked as an artist between the years 1908-1913 while he lived in Vienna and produced hundreds of works and paintings in which he attempted to sell in an effort to earn a living. The US Army seized a number of his paintings after World War Two and handed them over to the US Government, who forbade them to be shown. However, the remaining works that were painted by the mass murderer have fetched high prices. Auction house Mullock's of Shropshire sold 15 of Hitler's paintings for $143,355 in 2009 and a watercolor sold in Munich got $300,000 in 2014. But some experts have claimed the work is a a forgery. "It is very probably a fake Hitler" painting, Bart Droog and Jaap van den Born, both specialists in tracking imitations of Hitler's artwork, told the daily De Volkskrant. 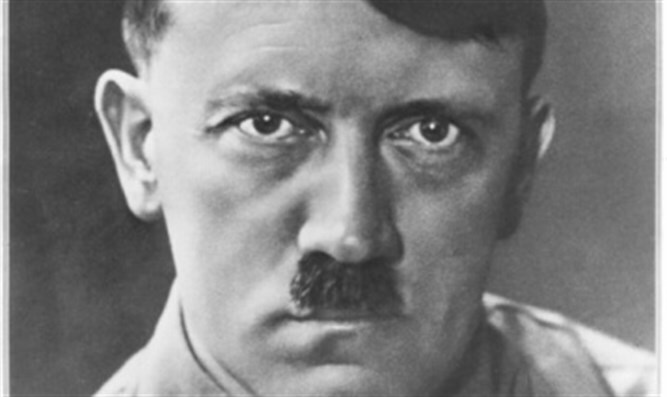 In October, a man in Italy attacked an oil painting by Adolf Hitler with a screwdriver but failed to do any damage.